The adoption of cloud-based technologies has rapidly increased over the past few years, and for good reason. Eighty percent of businesses that migrate to the cloud report significant improvements within the first six months. But despite this fact, many companies are still unsure if the benefits of cloud are right for their business. Security. Many SMBs are deeply concerned about security. They are worried that if they put data into the cloud, it will be less secure than their current on-premise solution. However, today’s solutions are highly secure and provide excellent business continuity in the event of an unexpected disaster. Ask about preventive security for potential solutions and how these solutions can enhance security and boost efficiency for your business. Lack of trust in the solution. The solution that you’re currently using may be functional and get the job done. But at the same time, you know that a cloud-based product could provide greater efficiency and savings. Ask an MSP provider about the value of each solution. What are the benefits and how does it compare to your on-premise solution? Have similar clients used this solution and what have been the results? Understand the answers to these questions and that will help build trust with a new potential solution. Getting management on board. You have identified the best cloud-based solution, reviewed the proven benefits and know that it’s the best way forward, but there is one problem: everybody is not on board. Maybe the existing solution works fine, and other members of the management team are resistant to change. Working with an MSP can assist with truly understanding the benefits of a new solution and creating a case for implementing that solution for your business. Ongoing costs. The cost structure of cloud-based solutions is different, but this is usually a benefit. 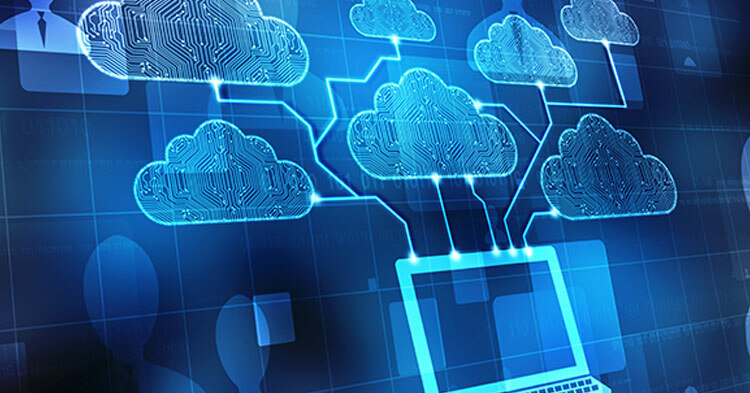 In fact, 82 percent of businesses report savings upon moving to the cloud. So while it’s true that you pay an ongoing monthly cost, this saves you the initial upfront capital expenditure. Internal staff. Balancing staff with IT demands is always a challenge and may trigger the question “Do we have enough internal staff to learn and manage this new solution?” This is where an MSP partner can be a great resource because they truly understand the solution and can serve as a resource to help minimize demands on existing staff during adoption and maintenance of the new solution. Do you need help exploring whether a cloud-based solution is right for your business? If so, we can help. Contact WCA Technologies online or call 212-642-0980 today. Peter Fidler has more than 30 years of IT experience. His expertise ranges from email systems to database applications to network infrastructure. With Warren Eng, he founded WCA Technologies to provide high-quality IT service to not-for-profit organizations, law firms, and a variety of small- and medium-sized businesses. His knowledge of IT infrastructure helps ensure that every problem large or small is addressed appropriately and effectively. Peter graduated from Bentley University with a Bachelor of Science in Business and then went on to receive his MBA from Fordham University. Call Peter 212-642-0980 | Email Peter pfidler@wcatech.com. Can Computers Understand Natural Language? What is the Network of Things? WCA Technologies is a full-service Information Technology company located in New York offering IT Support, IT Consulting, and Managed IT Services. We’ve been in business over 30 years, and most of our original clients are still with us today.